For such a small town, New Carlisle sure has had its share of notable residents. Whether it’s the superior nurturing of talent at Tecumseh High School, the strong work ethic that comes with living in a humble community, or heck, even something in the water, there’s no denying our small town has more than its share of famous faces. If we keep this up, we will have to put a walk of fame in front of Headquarters Waterbed Store to showcase all our brightest stars! Here are the top 5 celebrities who hail from or have lived in New Carlisle. Slow down, Kahn’s. Wayne Embry and his wiener came compliments of Tecumseh High School and New Carlisle. A Tecumseh graduate in 1955, Embry and his imposing 6 foot 8, 240 lb. frame attended Miami (OH) University, where he excelled at center on the basketball team. After that, he was drafted into the NBA, where he began his career with the Cincinnati Royals. Embry was especially known for his signature play, called the “Arrow Sandwich,” in which he would block a shot into his opponent’s face with such ferocity that it would make their noses bleed, causing them to resemble one of the famous Arrow Sandwiches served in Tecumseh’s cafeteria. 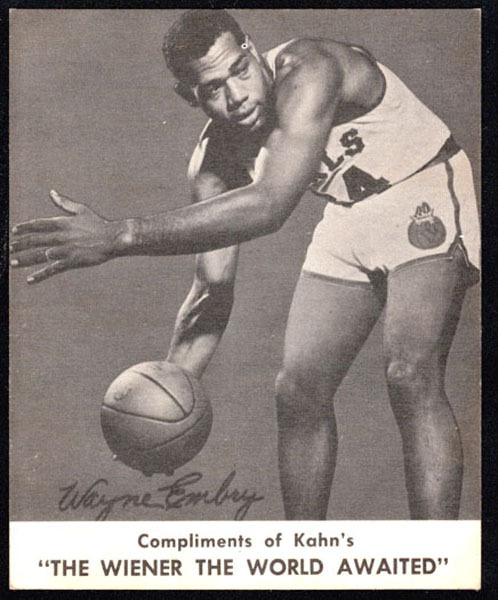 After garnering 5 straight NBA All-Star selections (1961-65) and an NBA championship (with the Boston Celtics in 1968), Embry retired from playing and began a lengthy and successful career as an executive for the Milwaukee Bucks, Cleveland Cavaliers, and Toronto Raptors. Embry was the first ever African-American general manager in the NBA (1972), and won NBA Executive of the Year twice, in 1992 and 1998. He was inducted in the Naismith Basketball Hall of Fame in 1999, and he has served as a trustee to the Hall since 1974. 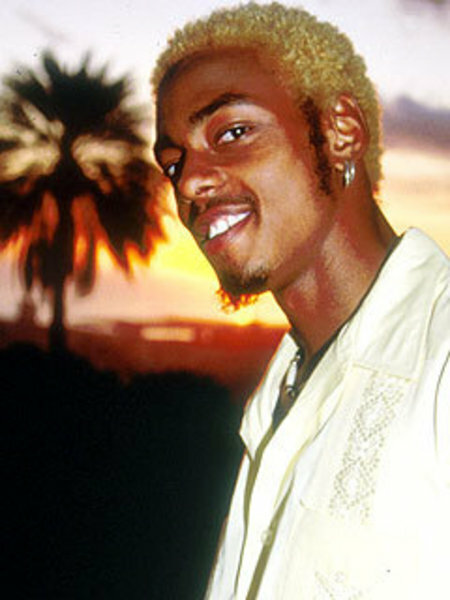 Tecumshea “Teck” Holmes, of Real World and acting fame, might never have made it in Hollywood if not for New Carlisle. Tecumshea “Teck” Holmes was named after the high school he attended briefly in 1991. Born in 1976, his parents originally named him “O’Neal,” in tribute to legendary film actor Ron O’Neal. After stopping in New Carlisle for fuel on a cross country drive they decided to set roots in town while Teck was a teenager. So smitten were they with New Carlisle and its educational system, they legally changed their son’s name to “Tecumshea,” the alternative spelling a result of asking a local ice cream truck driver for the spelling of the school. Teck rose to fame as a member of the Hawaii cast of MTV’s The Real World, and he went on to become an actor in several feature films and television series, including National Lampoon’s: Van Wilder, Friends, NCIS, First Daughter, and more. Known for his boisterous personality and snappy comedic wit, “Teck Money” is another star who owes his fame to New Carlisle. What do you get when you combine rugged good looks, a tireless work ethic, a relentlessly positive attitude, and the drive to chase one’s dream at all costs? Jason Greear, who was raised in New Carlisle and attended Tecumseh High School. Jason is building an impressive television and film resume. His credits to date include the horror film Camel Spiders (opposite Brian Krause and C. Thomas Howell), Out of the Furnace (co-starring Christian Bale, Woody Harrelson, Casey Affleck, Zoe Saldana, Willem Dafoe, Forest Whitaker and more), and the ABC thriller Final Witness. 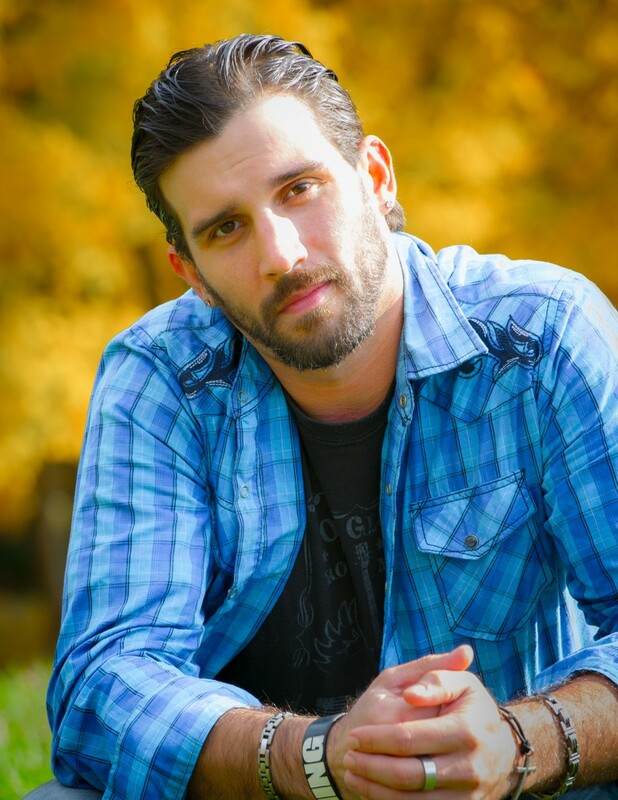 Jason has managed to accomplish some remarkable things despite catching the acting bug a bit later than most. It’s a testament to his talent, versatility, and motivation that he is on an upward path to Hollywood stardom. I have a feeling all of the residents of New Carlisle will soon be saying “I knew him way back when” as Greear takes over the movie industry! French Stewart rose to fame in the 1990s as a cast member on the comedy 3rd Rock From the Sun, but he honed his acting skills at a young age in New Carlisle, where he was born and raised. Stewart was born in his parents’ garage on Scarff Road in 1964. He attended New Carlisle Elementary until 5th grade, when his parents relocated to Albuquerque, New Mexico. Ironically, Stewart’s big break into show business was related to his home state of Ohio, as he was cast in The New WKRP in Cincinnati in 1992. Stewart’s trademark squint was one of the most recognizable looks of the ’90s. It’s not hard to imagine him adopting the expression while looking out at the sun over Silver Lake Beach. With over 60 television and film roles, including blockbusters like Pound Puppies, Home Alone: Taking Back the House, Inspector Gadget 2, and Beverly Hills Chihuahua 2, Stewart represents another star of the silver screen to hail from New Carlisle. I know, I know, Ricki is from Donnelsville. But how can I leave out the name tied to Lake Avenue, one of our busiest streets?!? Ricki Lake, actress and host of a wildly popular syndicated talk show, gets bumped to 5th on this list due to a slight technicality. Certainly her star shone as bright as anyone up to this point, but Lake never actually lived in New Carlisle. Ricki Lake was born in New York in 1968 but moved to live with her grandparents in Donnelsville in 1978. After living there for 4 years, Lake moved back to New York to attend a performing arts high school. Making her movie debut in 1988, Lake went on to star in over 20 movies and dozens of tv shows. She is most famous, however, for hosting the Ricki Lake Show, a talk show that ran for almost 11 years. When Lake was awarded her show, she was the youngest talk show host ever at the time (24). After the Ricki Lake Show, Lake has continued hosting television shows and remains active in the industry. The reason an exception was made for a not-technically-from-New-Carlisle celebrity to appear on this list is because of the massive contribution one of Lake’s ancestors made to our city. Lake Avenue, one of the busiest thoroughfares in New Carlisle (and one of the namesakes of this very website) was named for Ricki Lake’s great-great grandfather, Lenny Lake. Lenny Lake was a legendary drag racer and organized early street races on what is now known as Lake Avenue. Talk about history and Hollywood colliding! Mr. Bolo. I wanted to personally thank you for what you had to say about me. I don’t think you’ll ever know how much your article really meant to me. What you said was true…I do have the drive, but you my friend just kicked it into over drive! And thank you for that. I hear positive things from people every single day, and please don’t get me wrong when I say this, but you can only hear “Oh man, you’re an actor!? Wow! That’s awesome!” so many times before it gets a little dull. But the words you said about where more than amazing and I appreciate you doing that! NewCarlisle will always have special place in my heart and it truley shows how great and caring the people of our town are because I am constantly reminded by everyone there how proud they are of what I’ve done, what I am doing and will do in the future. So again, from the bottom of my heart, thank you for the positive inspiration and your blessings! I’m happy that you enjoyed my post and I couldn’t be more excited for what the future holds for you. That this little blog reached you and helped inspire you in some way, then I am grateful and humbled. Keep up the great work, and we’ll keep rooting you on until you reach the top! Is this the real Jason Greear? Dang talk about not forgetting your roots! I always thought you’d be great in a show like ncis and that one dude quit! Ricky Stacker. Yes this is the real Jason Greear. Lol. Sorry I just now saw your message months later. Lol. Hey, better late than never right! I’ve always wanted to be in that show man!!! At least NCIS LA hahaha. Thank you for your love and support Ricky! Be Blessed! Two other NC celebs Champion wrestler Don Eagle and Cincinnati Royals Dave Zeller. And wasn’t Olympian Bob Shul also frpm NC? 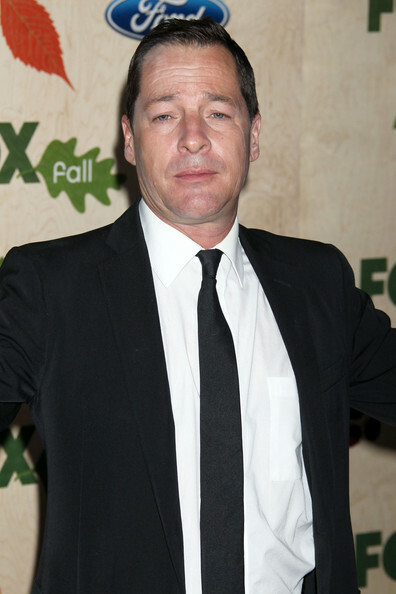 French Stewart was not born and raised in New Carlisle. Where do you get this stuff? New Carlisle to Combat City Blight with the Latest Tech? The Wordage herein demands boundless incredulity.